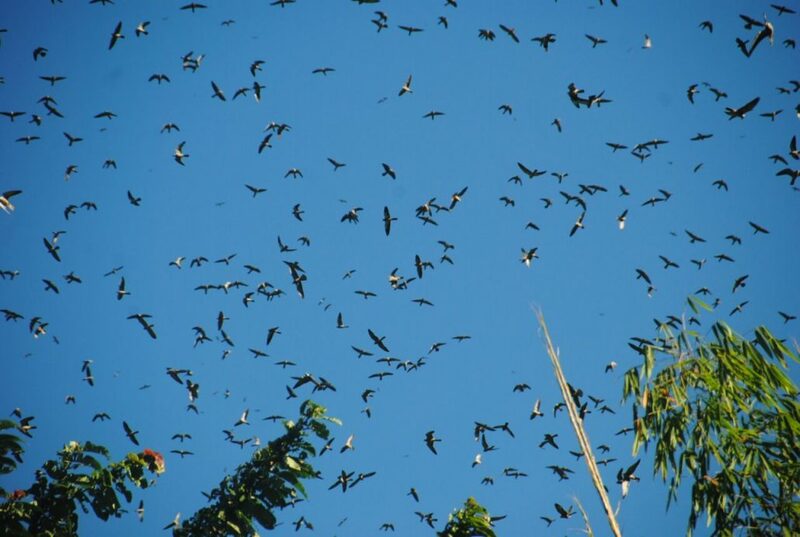 Amur falcons flocking at Doyang, in Pangti village of Nagaland's Wokha district. Courtesy: E-Pao! 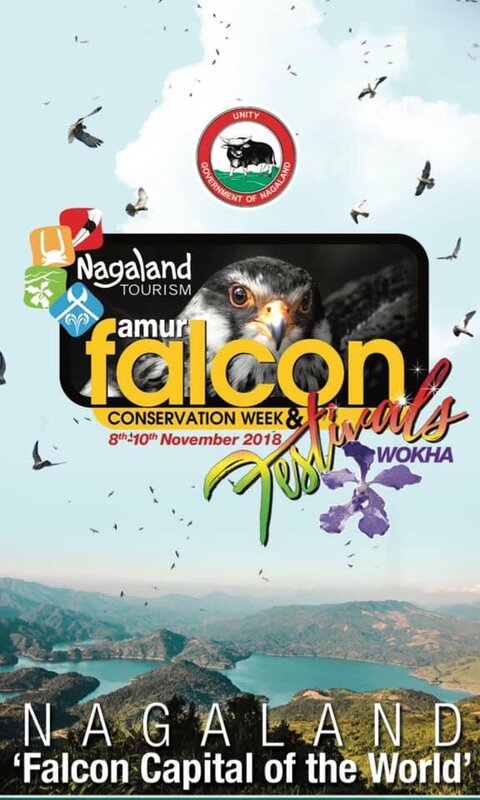 Nagaland is gearing up for the first ever Amur Falcon Conservation Week and Festival which will be held from November 8 to 10 next and has the potential to become the next big thing in the State. Amur falcons travel up to 22,000 km per year from South Eastern Siberia and Northern China to Somalia, Kenya and South Africa which are their final destinations, according to a report by Outlook Traveller. Every year, on the way, they rest in Nagaland and few other parts of northeast India (Umrongso in Assam and Tamenglong in Manipur). Doyang, in Pangti village of Wokha district, witnesses one of the biggest congregation of these migratory birds because of which now Nagaland is a often termed as the ‘falcon capital of the world’. The Amur Falcon Conservation Week and Festivals which will be an annual affair from this year will be a big step towards Amur falcon conservation. Gone are the days in Nagaland when these falcons fell prey to rampant hunting. Now conservationists have together in the State making Nagaland as a safe haven to these winter visitors. The main objective behind this initiative is not only to spread the word on the importance of wildlife conservation but also to highlight the fragile human-nature relationship and the need to understand it. The three-day event is a combination of wildlife conservation and several festivals that will highlight the rich culture, tradition and custom of the Lotha Nagas. There will be screening of conservation-related documentaries, nature treks, cross country race, bird watching, nature photography exhibition and painting competition. Several cultural activities are also lined up to showcase indigenous games like greased bamboo pole climbing, fire making, traditional dance and music and exhibitions of indigenous arts, crafts, handicrafts and handlooms. The Amur Falcon Conservation Week & Festivals will also feature a three-day music festival; water sports; food festivals, including indigenous recipe contest and open air ethnic cooking competition; outdoor activities like angling, camping, trekking, cycling; adventure sports like off-roading, ziplining, mountain terrain biking competition. Focus will also be given on eco-tourism by promoting homestays, local guides, boating and workshops with experts in the field.